i came to whampoa drive food centre with my sis recently & i had the hoover fish soup & 幸福潮州小食 pig trotters. i saw then there were 2 stalls with mutton soup so decided to try out yu ji (宇记) chinese herbal mutton soup (羊肉汤) on 19.9.2014.
i ordered the 4 in 1 mixed soup which had mutton balls, mutton ribs, tripes & tendons, small portion for S$7. the soup was good. the portions were ok overall. mutton balls not good. there were hardly any tripe, very tiny pieces & not many. the mutton ribs were ok. there was 2 pieces of mutton leg so quite a bit of tendons. 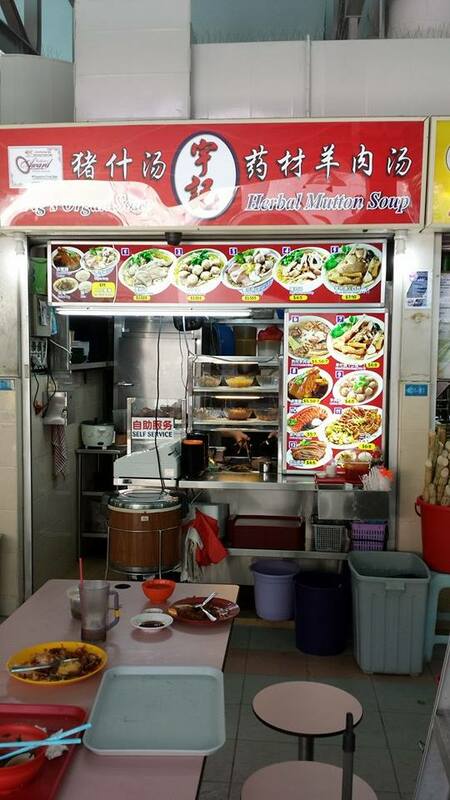 anyway this is definitely a stall i would come if i come to whampoa market. 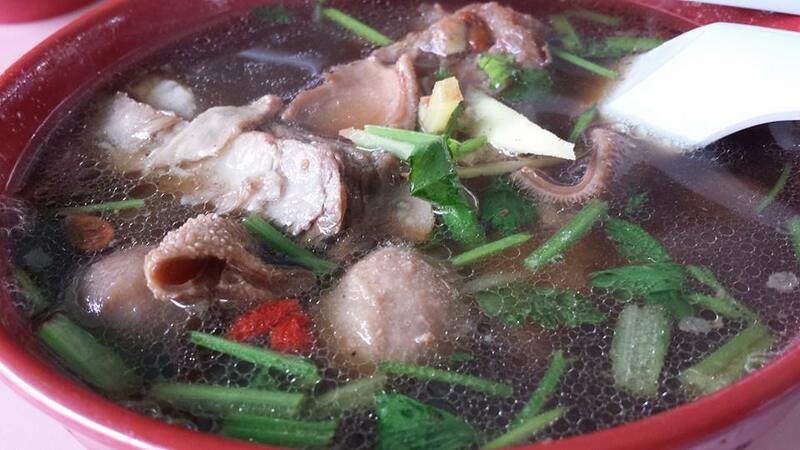 This entry was posted in Buon Appetito!, Hawker Food Tour & Hike in Singapore and tagged blk115 bukit merah view, Chai Chuan Tou, herbal mutton soup, mutton balls, mutton ribs, tendons, tripes, whampoa drive food centre, yu ji, 宇记), 柴船头羊肉汤. Bookmark the permalink.